LG Enact VS890 user guide manual – LG Enact VS890 is feature phone with sliding physical QWERTY keyboard model for Verizon Wireless that allow user to firm grip. LG Enact VS890 come with 4.0 inches color display and protect it by Corning Gorilla Glass. 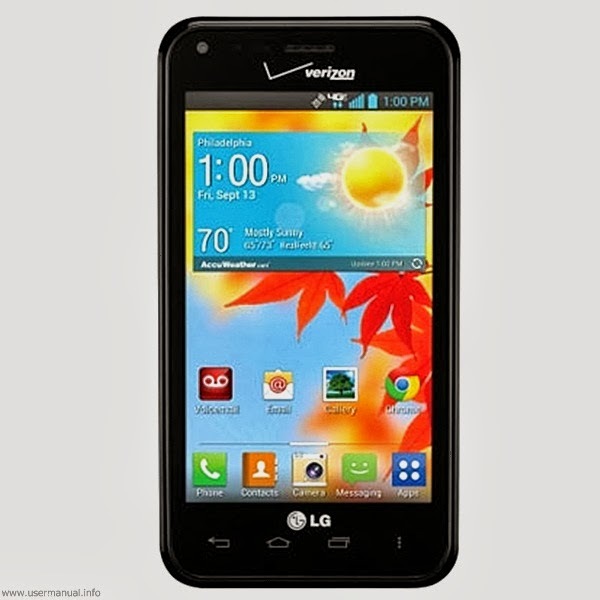 LG Enact VS890 is the latest Verizon Wireless sliding QWERTY design after Pantech Marauder that easy to use. LG Enact VS890 for Verizon Wireless equipped with specifications and key features such as: 111 x 52.3 x 15.8 mm (4.37 x 2.06 x 0.62 in) in dimension with 169.8 g (5.96 oz) in weight, 4.0 inches TFT capacitive touchscreen display 16 million colors 480 x 800 pixels screen display with multitouch and Corning Gorilla Glass protection, microSD up to 64 GB, 8 GB internal storage, 1 GB of RAM, 5 megapixel rear facing camera with autofocus and LED flash, VGA as front facing camera, run Android 4.1.2 Jely Bean operating system, powered by 1.2 GHz dual core processor Qualcomm MSM8930 Snapdragon 400, Li-Ion 2460 mAH battery with up to 216 hours for stand-by time and talk time up to 4 hours 40 minutes. LG Enact VS890 user guide manualavailable to download in pdf file format with 4.97 MB in size and contains of 231 pages. The user manual for the QWERTY phone also available for Spanish language with 4.74 MB and 248 pages. The main explanation on the manual pdf that we highlight is about tools for the smartphone are: calendar, calculator, alarm/clock, polaris office 4, file manager and tasks.